Short sleeve basic confetti tee. 4 oz. 90% polyester, 10% cotton knit jersey. 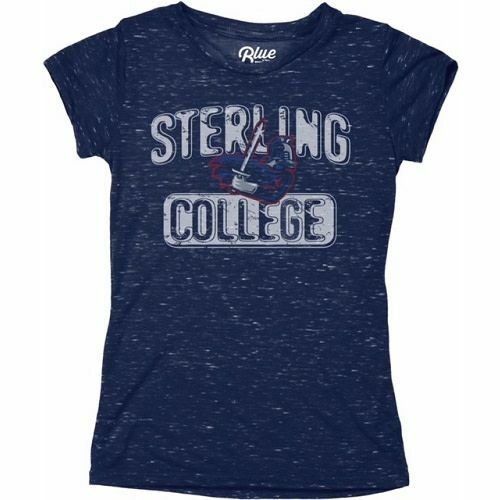 Full chest Sterling College screen print.